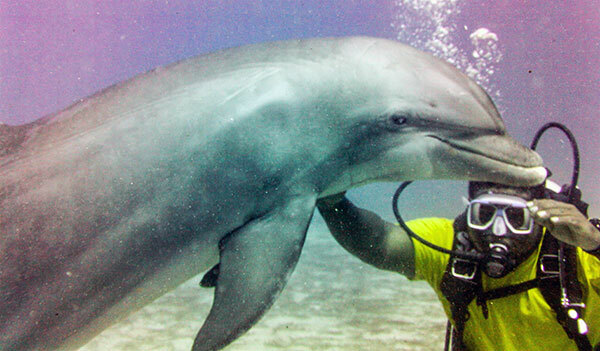 I’m Scuba Diving with Dolphins! Today is a good day. 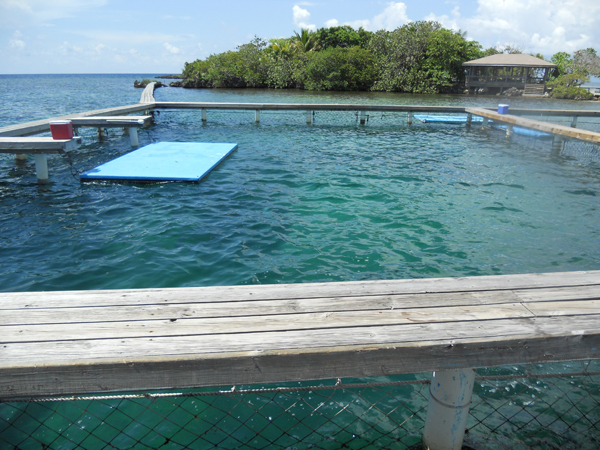 I’m on a tiny island in the Caribbean off the Honduran coast called Roatan and checking another item off my bucket list – scuba diving with dolphins! Since falling head-over-heels in love with scuba diving in Belize I couldn’t help but get back in, and under the water as soon as possible. 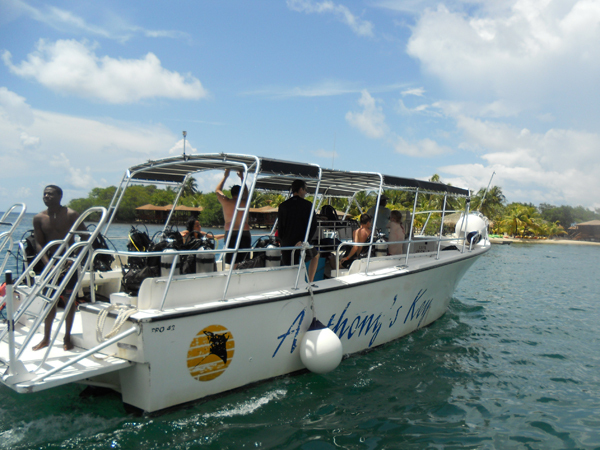 There’s only one place in Roatan that offers the ability to go scuba diving with dolphins and it’s at Anthony’s Key Resort. 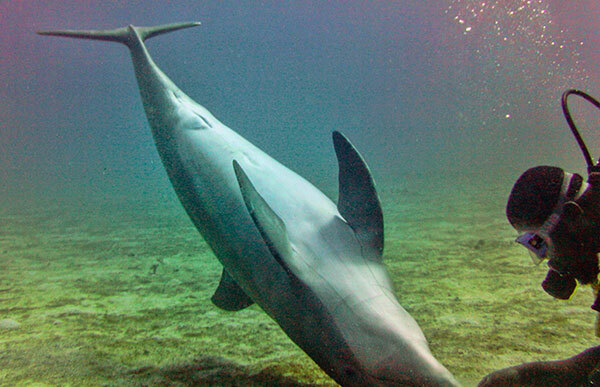 The dolphins are considered ‘wild’ and for the most part it appears they’re treated very well, despite being semi-trained and studied by the Roatan Institute for Marine Sciences. Before we could get underwater there was a brief safety meeting, and we were boated off to the pens to interact with the dolphins. 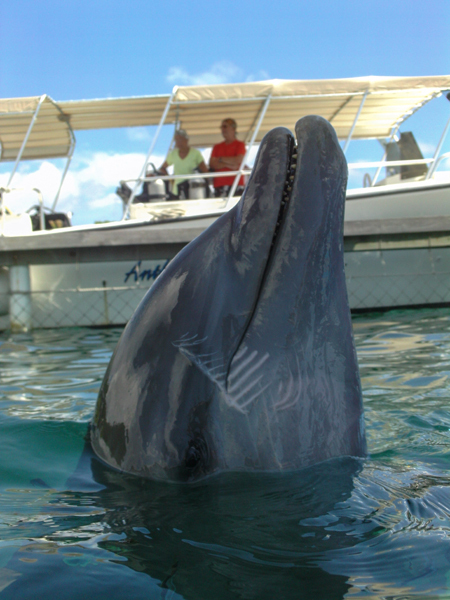 The staff feeds them fish as they do tricks, and introduce you to the characters you’ll will be diving with; pretty standard affair here. What!? 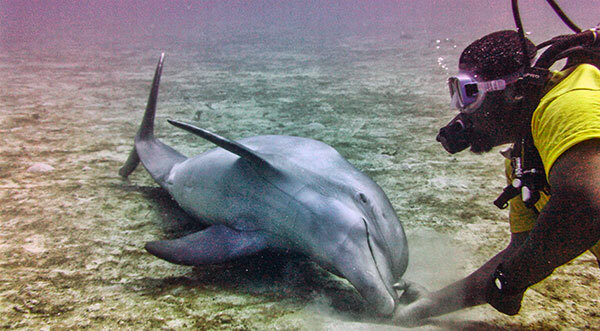 I’m Underwater with Dolphins!? 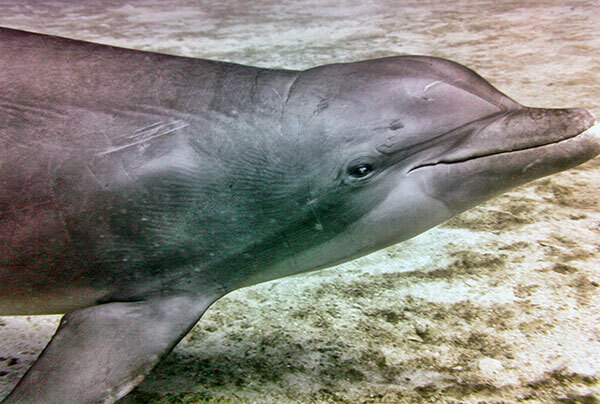 Diving with dolphins was more than enough to make the entire trip memorable and worthwhile. Wait, There’s a Video Too!? 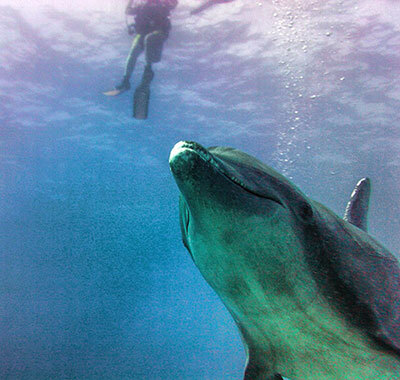 Wondering what it might be like to have dolphins swimming around you so close you can reach out and touch.. while 60 feet underwater? Check out the video and find out! 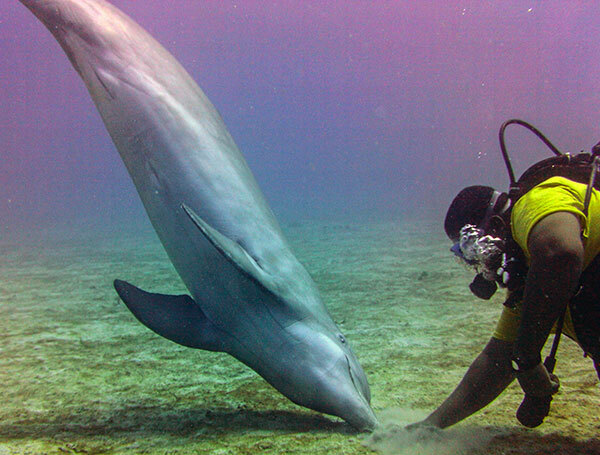 Pay attention to the briefing about diving etiquette – dolphins are amazing creatures, remember to respect them and handle gently while enjoying your interaction.